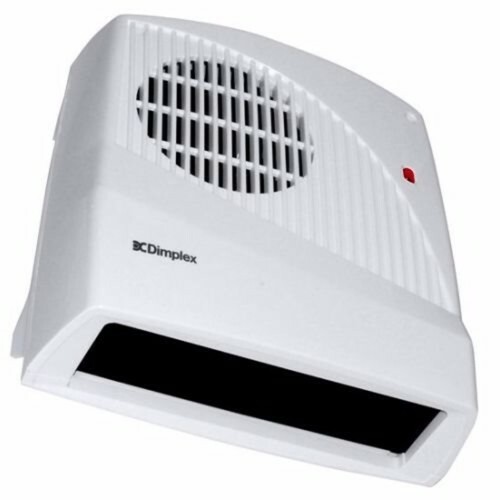 The Dimplex 2kW Wall Mounted Fan Heater is a popular and cost effective choice for those who want instant warmth in bathrooms, shower-rooms, ensuites and kitchens. It is designed for high level mounting for rapid heat distribution and the powerful 2kW Output ensures a fast warm-up and provides enough output to operate as the main heating source. In the event of a small bathroom or kitchen, the heat output can be reduced to 1kW at the time of installation. Very pleased with your service and speedy delivery,full marks. cable suppled so you need to be competent enough to connect a piece of cable. I like that it comes preset to lower output of 1kw as this is adequate for most bathrooms etc. Has a nice poweful fan so heats room quickly. hi, can i wire it up to existing fuse switch that runs power shower, in other words share fuse switch, thanks. Hi, does this product come with a flex and plug? I intend to plug this wall mount unit into my existing GPO. Thanks, Chia.